Start by cutting the cork down to fit in your frame and remove the glass. 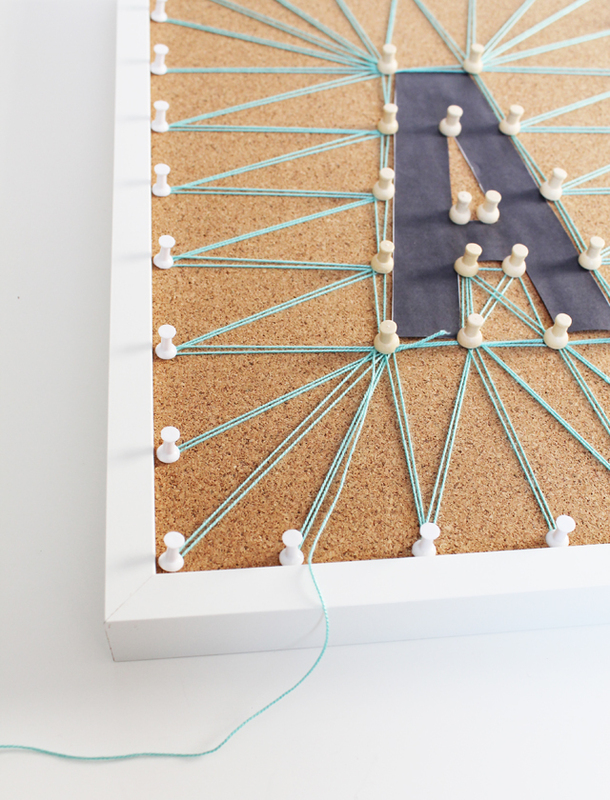 Next, print a template for the monogram or design you want for your string art. 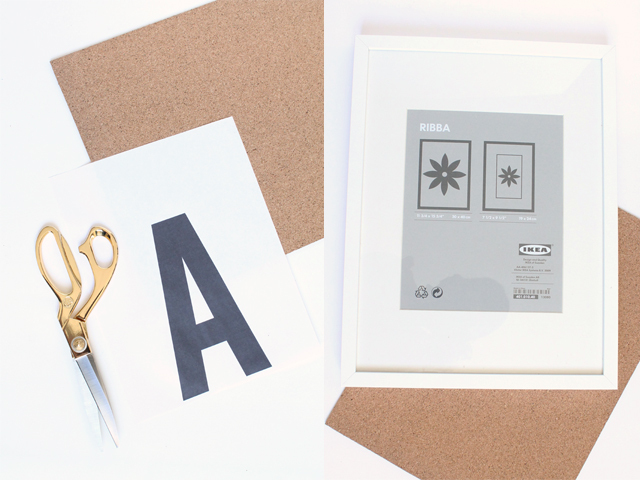 Cut out the template and tape it down in the center of your frame. 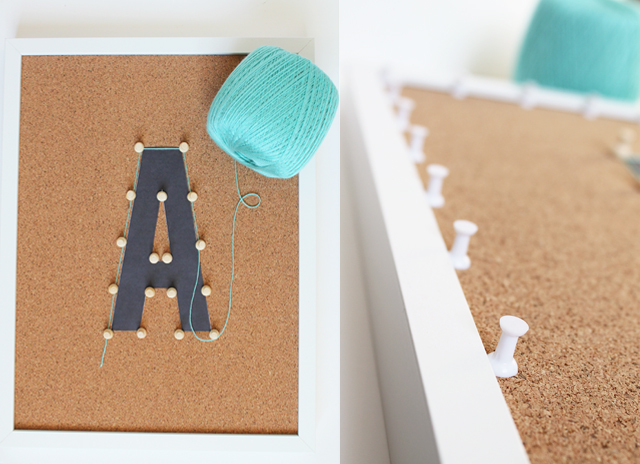 Outline the template with push pins and then create a border of pins around the edge of the frame. To make sure the pins were secure enough to hold the weight of the string wrapping, I pushed them through the backing board that came with my frame. This part takes a little while and some of the pins go in easier than others, but it is definitely doable! 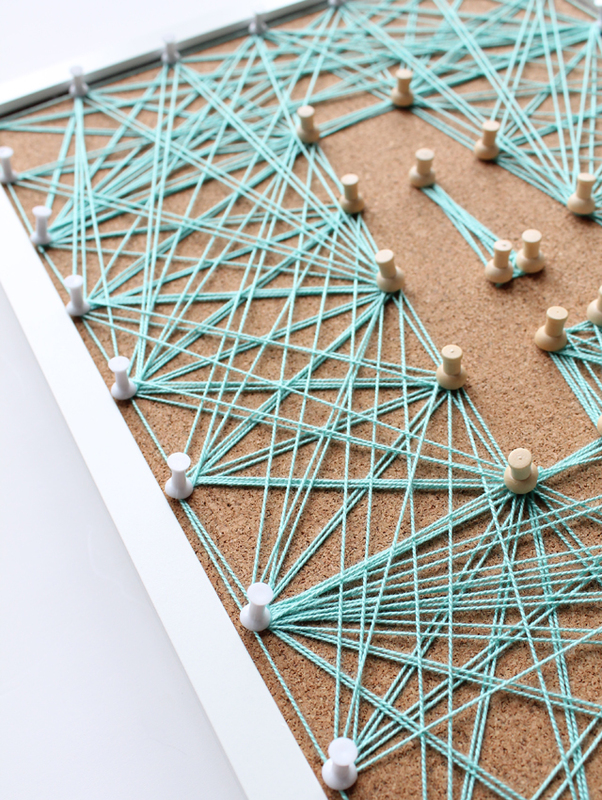 Once all the pushpins are in place, you can start wrapping the string in a consistent pattern. I didn’t really have a plan for this, I just went for it! 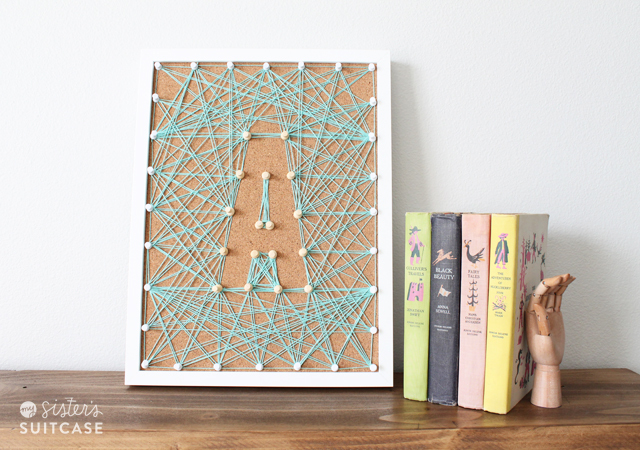 I hope you like this spin on string art, let me know if you try it too! I love this super cute Rainbow Pom Pom Necklace! Such a cute idea for St. Patrick’s Day or just because. And, I just loved how they transformed these Gold Glitter Marquee Letters. I love the gold! And, they also have so great St. Patrick’s Day Free Printables you can grab to have a yummy breakfast for your kids! Win a DSLR Camera or Cedar Swing Set! I love this! I have been wanting to try string art for a while now but the nail and board version is a little too much for me, so I have got to give this a try! This is fun! I love that you did the outline and surroundings of the letter, rather than filling in the letter itself, great idea! Thanks your sharing! I love this idea! 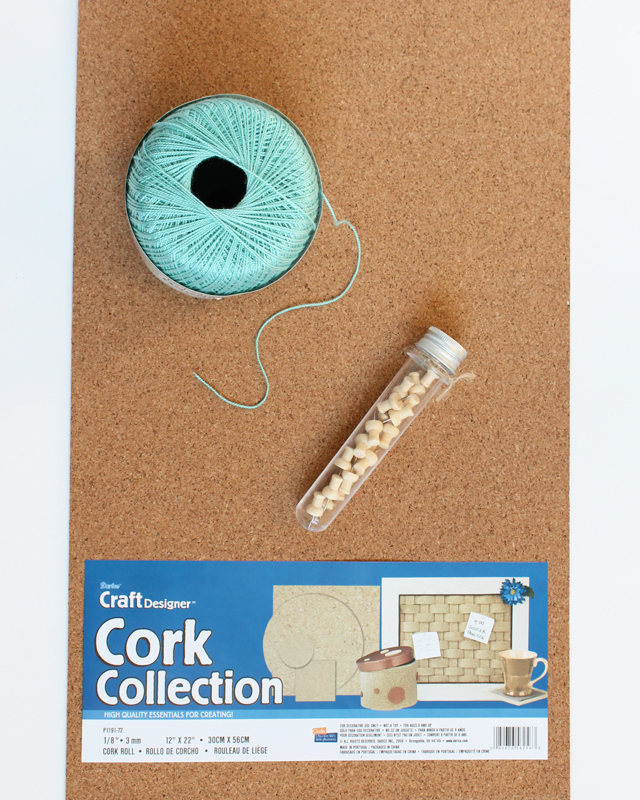 I’m wondering why I never thought of using a cork board! And this is why I listed your site as one of my favorite things a couple weeks ago! How stink’n cute! I love this! Great gift idea! 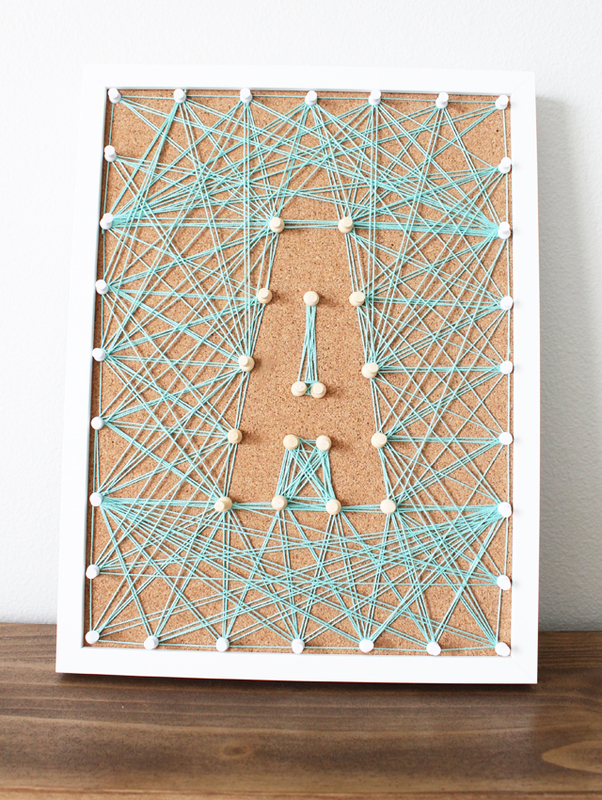 Nice DIY string art. Thanks for the great tips. Wow this is super creative, I love it !